Following 4 hard, but very rewarding years of studying Diet and Nutrition, together with anatomy, physiology and pathology, I qualified with Distinction as a Nutritional Therapist from BCNH, British College of Nutrition & Health, and am a member of BANT, British Association for Applied Nutrition & Nutritional Therapy and a registered Nutritional Practitioner. I am also a Senior Associate member of the Royal Society of Medicine (RSM) and a member of the IFM, Institute of Functional Medicine. 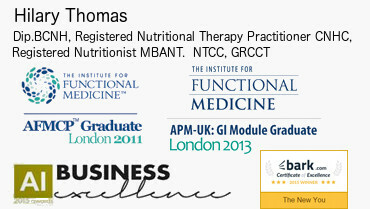 In order that my knowledge is continually updated and my CPD (Continuing Professional Development) fulfilled, I attend many post-graduate conferences each year, including a 5 day intensive Functional Medicine conferences in October 2011, & last year, 3 day & 2 day intensive Functional Medicine conferences. This year I have already attended 3 x 2 Day Functional Medicine conferences & have a further 3 day Functional Medicine conference in October. I have Practicing Privileges at the Chelsfield Park Hospital and The Sloane Hospital in Kent, they are part of the BMI group of hospitals, please see the Links page for their details. I have Practicing Privileges also at the Spire Wellesley Hospital in Southend-on-Sea in Essex, please see the Links page for details. I practice also in London from Biolab Medical Unit in Weymouth Street, please see the Links page for details. 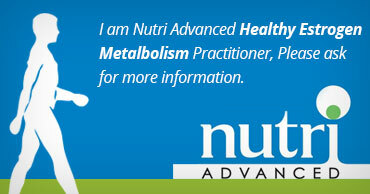 I lecture for BCNH British College for Applied Nutrition & Nutritional Therapy, where I studied Nutrition. I practice the Functional Medicine approach, addressing the underlying causes of disease, using a systems-oriented approach and engaging with a therapeutic partnership with my patients. It is an evolution in the practice of medicine that I feel better addresses the healthcare needs of the 21st century. By moving from the traditional disease-centered focus of medical practice to a more patient-centered approach, Functional Medicine addresses the whole person, not just an isolated set of symptoms. As a Functional Medicine practitioner I spend more time with my patients, listening to their histories and looking at the interactions among genetic, environmental, and lifestyle factors that can influence long-term health and complex, chronic disease. In this way, Functional Medicine supports the unique expression of health and vitality for each individual. When I left school and started work I gave little thought to nutrition. I always enjoyed my food but it was certainly not a passion and I did not stop to think what was being added to my food in order to keep that ‘perfect’ apple the right shape, texture and colour, and still edible with its appearance unchanged, after many weeks of living in my fridge! In 2000 I became very seriously ill and had to undergo two major operations within 6 months of each other, with a 3 month recovery period following each, it was only then that I became interested in alternative therapies, and in 2001 after studying for 1 years, I qualified as a Reflexologist. My journey in nutrition also started in 2001, when on recommendation I had an appointment with a Nutritionist and following her advice changed my diet, and was truly amazed what eating the right foods could do, it put me on the road to good health. This inspired me so much that I wanted to learn more and I wanted to help others in the way I had been helped. I believe in the importance of a healthy diet and lifestyle, and the healing power of health-promoting unadulterated, organically grown food, free from chemicals and toxins, and organically reared livestock, where the meat, milk and eggs are free from hormones and antibiotics, and there is a very high standard of animal welfare. I do eat organically at home, and wherever possible when away from home. I really do believe that an organic diet has the potential to lower the incidence of cancer, coronary heart disease, Type 11 Diabetes, obesity, allergies and hyperactivity in children, what you eat can change your life, so let me help change yours, it is never too late to start! In March this year I was awarded the 2015 A1 Business Excellence Award, for the UK Nutritional Therapist of the Year. The A1 Business Excellence Awards identify and honour the most respected companies, while recognising and rewarding outstanding performance, success, innovation and ethics across international business communities.